Have information you want to share with us? Maybe a story or topic you’d like to see us cover? We’d love to hear from you. Fill in the form below to get in touch with us. We receive hundreds of emails every week and will do our best to reply to your email as quickly as possible. *PLEASE NOTE: We are no longer accepting guest posts from writers. 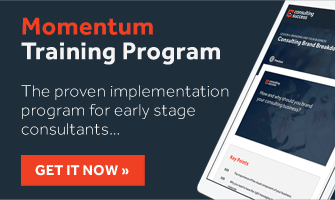 Get FREE ACCESS to our Consulting Blueprint and learn strategies to land more clients and grow your business. © 2019 Consulting Success is brought to you by Advicetap Digital Inc. All Rights Reserved.